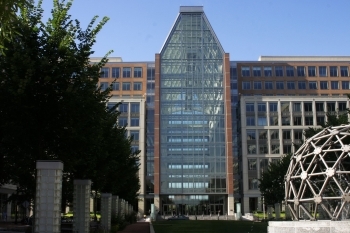 As December draws to a close , it’s difficult to imagine a more historic year for the United States Patent and Trademark Office (USPTO) than 2011. The dedication and hard work of our talented public servants has enabled the Agency to make significant strides in the quality, efficiency, and certainty of patents and trademarks granted to technological enterprises. And our collaboration with the small business community has allowed us to level the competitive playing field by offering new tools and resources for independent inventors to acquire intellectual property rights with more ease. As this year comes to an end, I want to take a moment to recount what our extended USPTO family has helped accomplish for American inventors and American innovation, through the lens of a few numbers and key dates that were important this year. Guest blog post by Debbie Cohn, Commissioner for Trademarks at the United States Patent and Trademark Office. 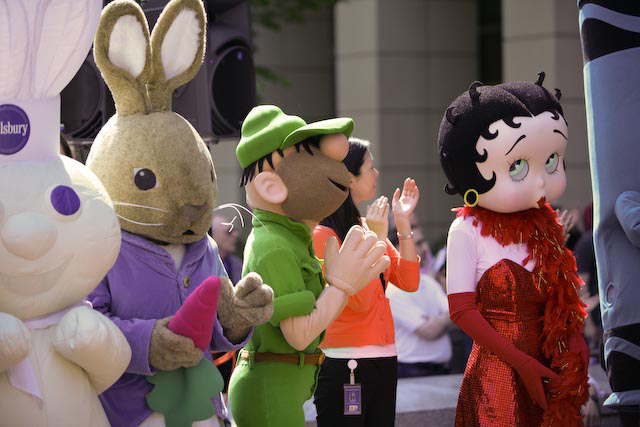 Learning about the value of intellectual property may not sound like fun and games, but for more than 15,000 people who visited the United States Patent and Trademark Office last Friday and Saturday, that’s exactly what happened. 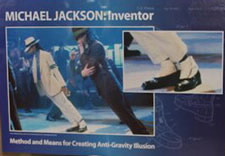 The 2011 National Trademark Expo featured exhibits and seminars designed to educate the public about the importance and value of trademarks in the marketplace. Trademarks help inspire confidence in a brand and build an identity for thousands upon thousands of companies making products and providing services across America. Brand and identity are both vital components for spurring growth and promoting economic development. The United States has been registering trademarks since 1870. Through the federal registration system, the USPTO is able to assist business in protecting their valuable investments, promoting goods and services and safeguarding consumers against confusion and deception in the marketplace. At the National Trademark Expo, the public learned about intellectual property rights for small businesses; counterfeiting and piracy; filing for a trademark registration with the USPTO; and why trademarks are important to business. And they learned this firsthand from the many exhibitors showcasing their marks and discussing the critical role they play. And while children and adults were wowed by a variety of characters most Americans would immediately recognize as trademarked, special guest Chubby Checker sang and spoke with the audience about how important his trademarks are to him. 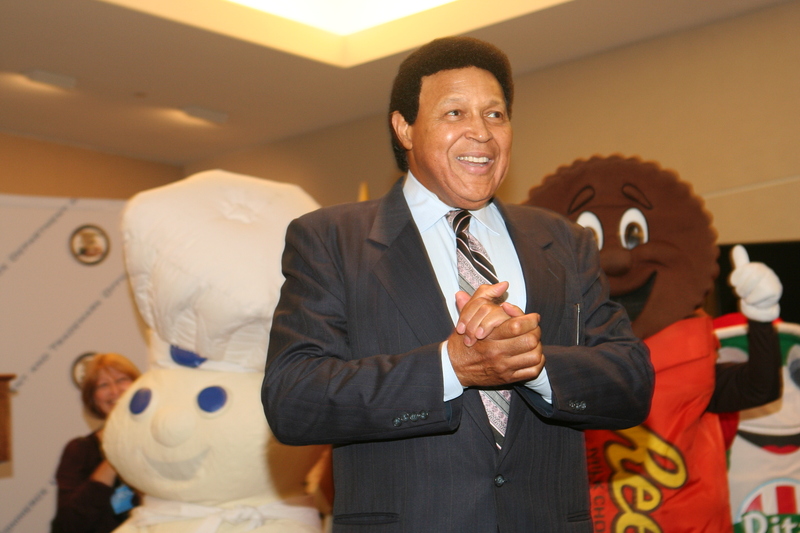 Checker leveraged his “Twist” to build a successful business in the food industry. 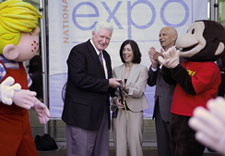 The 2011 National Trademark Expo was a successful event highlighting the powerful role that trademarks play in the global economy. Commerce's United States Patent and Trademark Office (USPTO) will host the 2011 National Trademark Expo on Friday, October 14th from 10 am to 6 pm, and Saturday, October 15th from 10:00 a.m. to 4:00 p.m., at the USPTO’s headquarters in Alexandria, Virginia. The free, two-day event is designed to educate the public about the value of trademarks in the global marketplace. Last year’s Expo attracted over 10,000 visitors of all ages. The Expo will highlight such themes as “Unusual Trademarks” and “Brand Evolution,” and will feature educational workshops for adults and children, exhibits of authentic and counterfeit goods, and costumed characters, including Pillsbury's Doughboy, Popeye and Olive Oyl, the Pink Panther and Barbie. 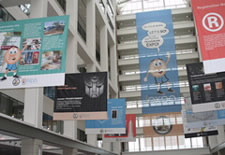 The Commerce Department’s United States Patent and Trademark Office (USPTO) will hold its annual National Trademark Expo Friday, Oct. 15, and Saturday, Oct. 16, at its Alexandria, Va., headquarters. The National Trademark Expo is free and open to the public and runs from 10 a.m.-6 p.m. on Friday and 10 a.m.-4 p.m. on Saturday at the Alexandria campus at 600 Dulany Street. 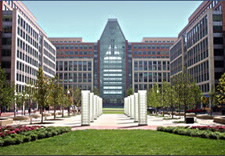 For more information, visit USPTO's NTE webpage.